This lovely teak set comes with our 47″ Nova round extension table and our Kensington side chairs. 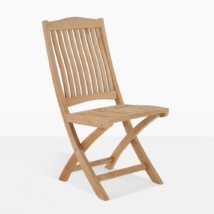 Both products are made up of Grade-A Teak wood and therefore possess the qualities to be outdoor dining furniture. The round teak extension table measures in at 47” in length without the leaf. 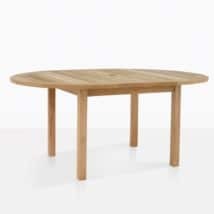 With the leaf extended, the table becomes a much larger 67”. This extra space will allow more space for extra dishes, drinks, magazines and whatever else your heart desires! 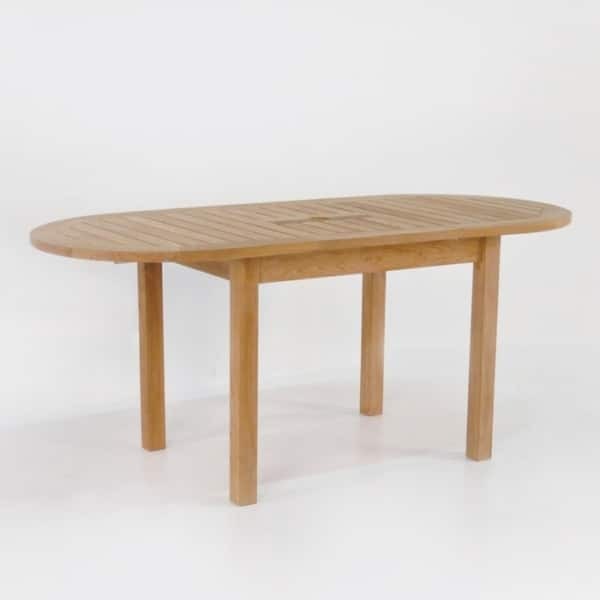 A neat feature about the Nova teak table is that the leaf comes assembled with an umbrella hole. Browse our range of umbrellas or plop in your favorite parasol for immediate shade. The table stands at 29” from the ground. 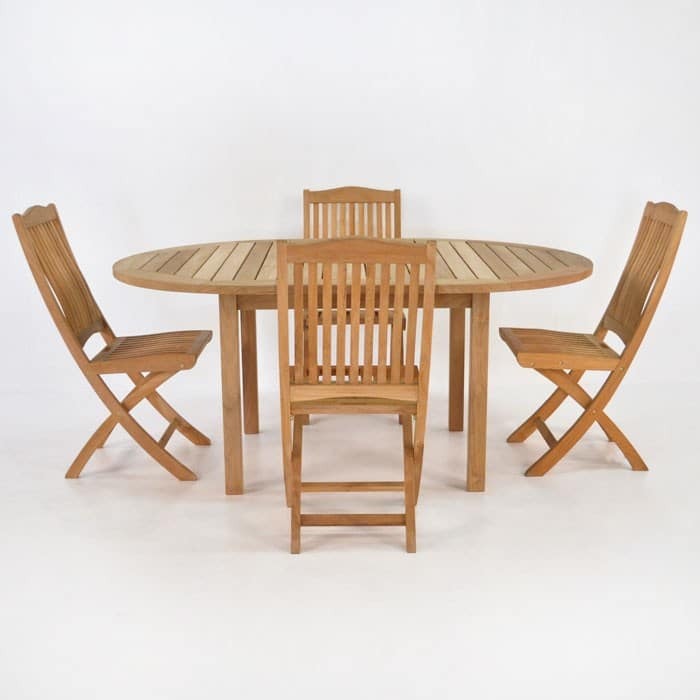 The teak side chairs that accompany the Nova table are the Kensington chairs. These convenient chairs are perfect for outdoor dining. They are folding as well, so storage is a hassle free task. 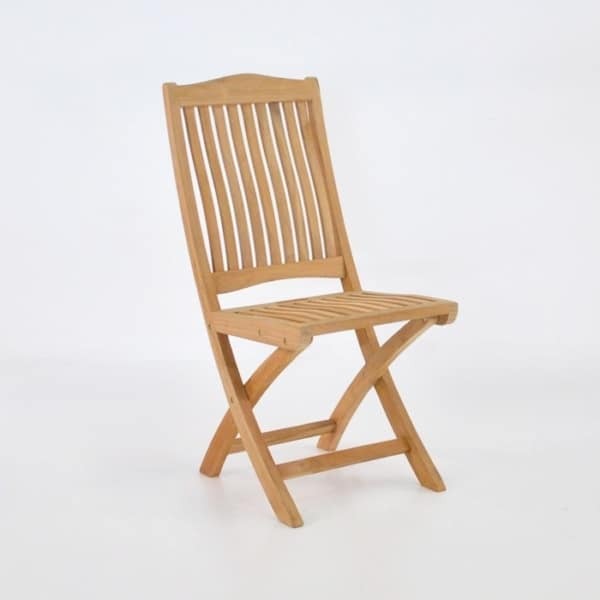 The folding side chairs have a width of 17” and are 37” in height. The hardware that it is constructed by is brass.